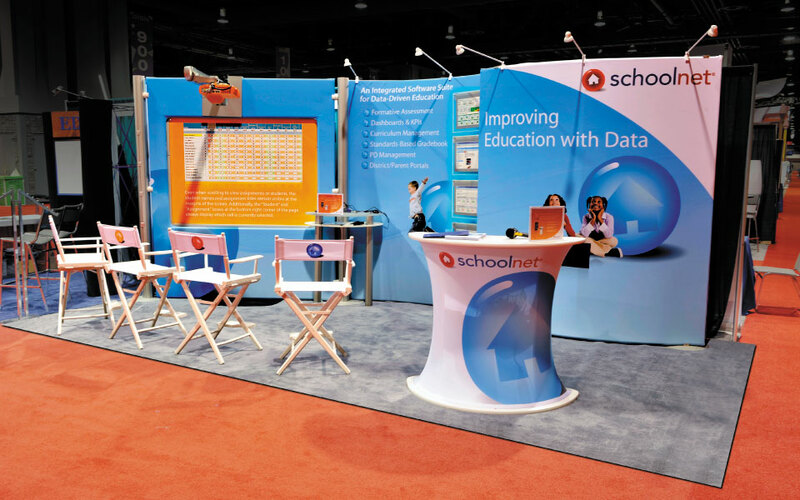 Schoolnet is a leader in data-driven decision making for students. 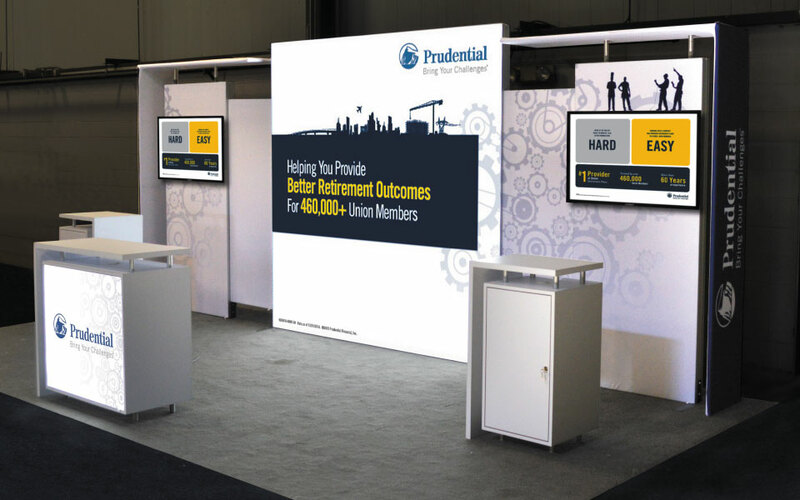 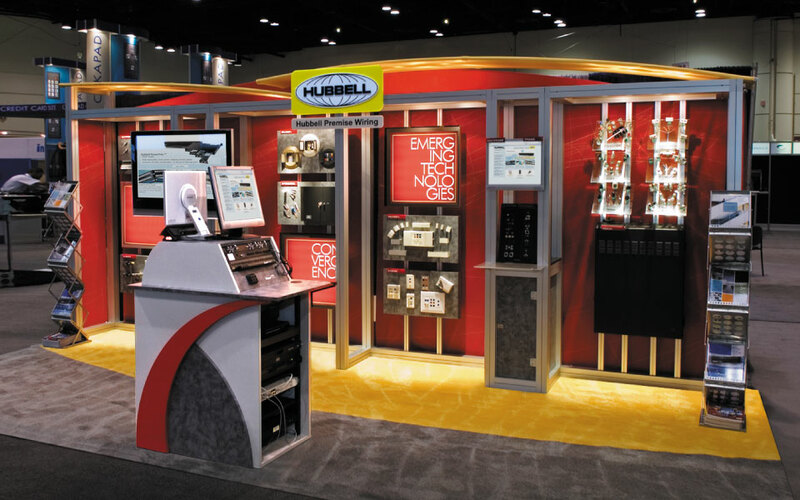 With a desire to use modern portable and lightweight modular booth materials, but with a need for an interactive whiteboard presentation usually seen with heavier custom exhibits, they were at a crossroads. 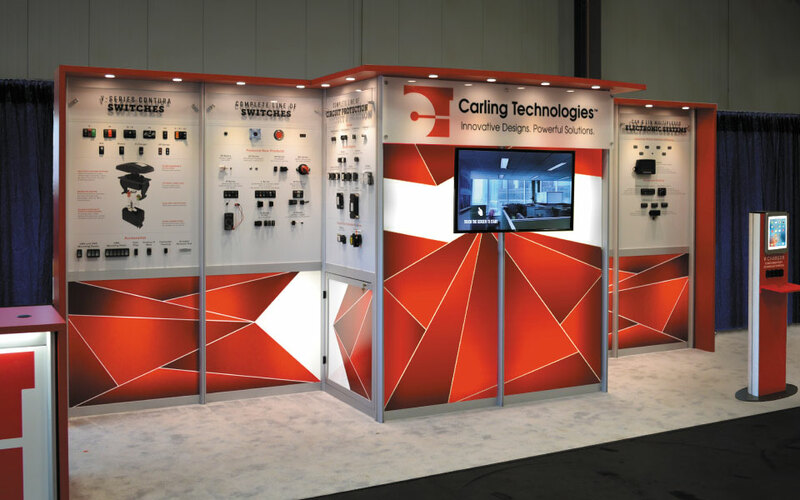 DisplayCraft developed a custom exhibit solution constructed from elegant curved tension fabric panels and floating LED light boxes. 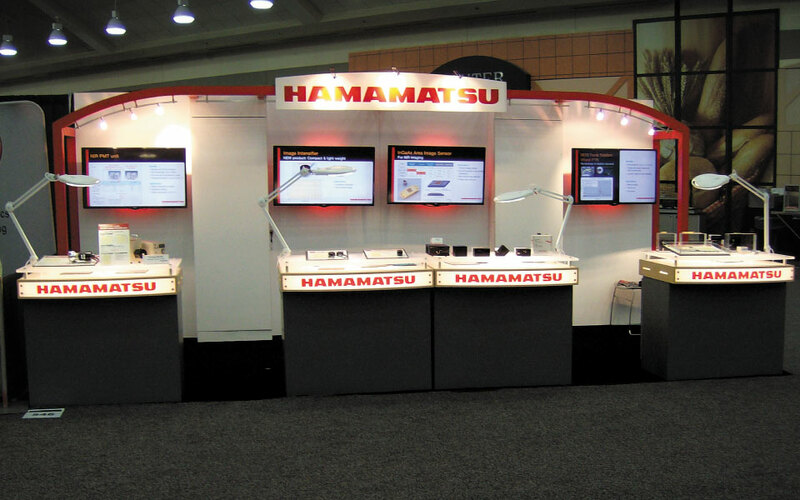 The interactive whiteboard mounted to a custom stand so it appeared recessed and part of the display. 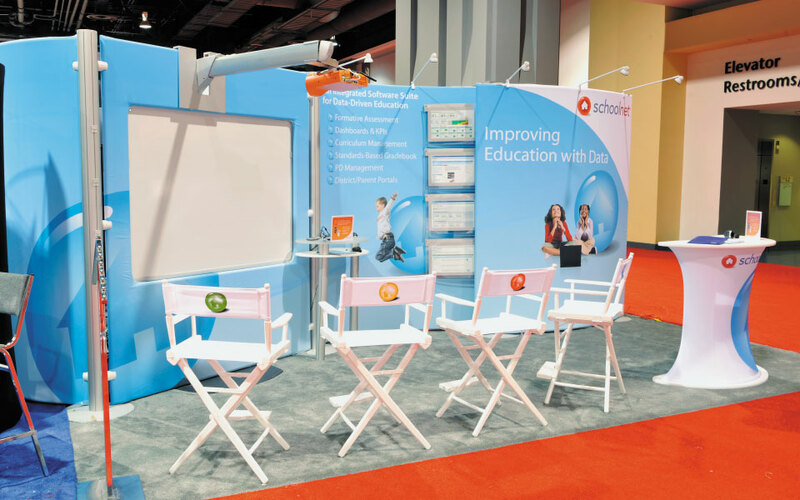 This creative design and engineering method allowed Schoolnet to use a large interactive whiteboard. 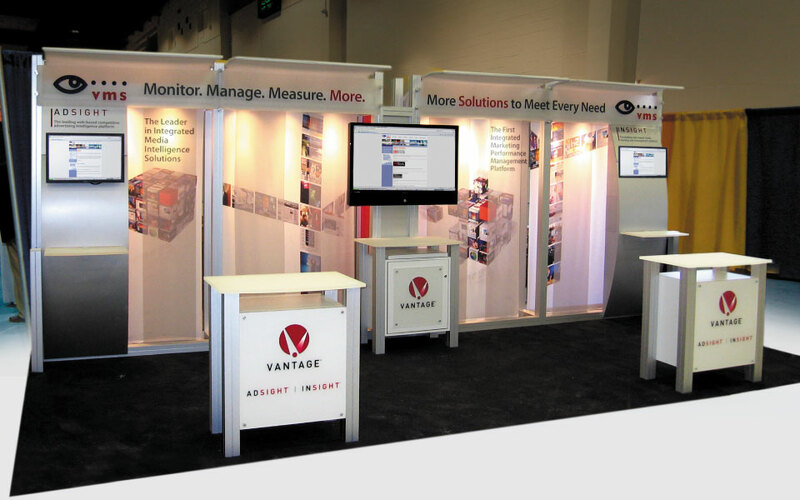 The lightweight modular exhibit materials saved drayage and freight costs.